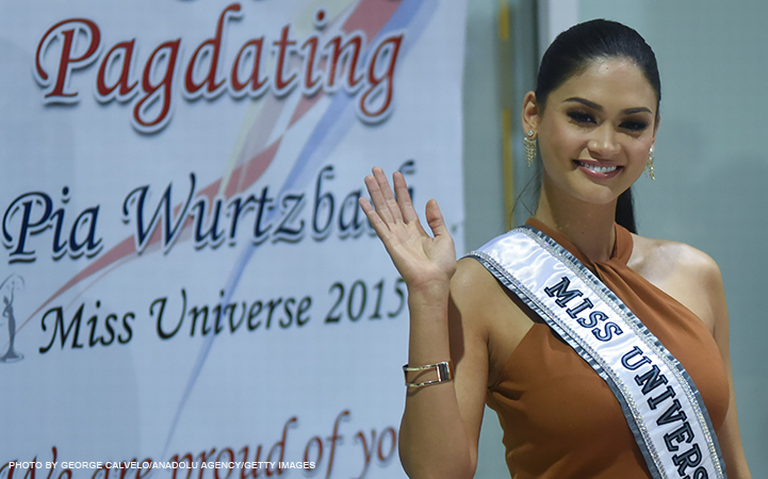 On Saturday, at around 6 in the morning (Philippines time), Pia Wurtzbach, the newly crowned Miss Universe 2015 arrived at the Ninoy Aquino International Airport Terminal 2. Philippine’s 3rd Miss Universe was finally home! I intentionally woke up early today to watch the news through our Filipino channel just to see how Pia was welcomed by my fellow Filipinos as she returned to Manila from the United States. 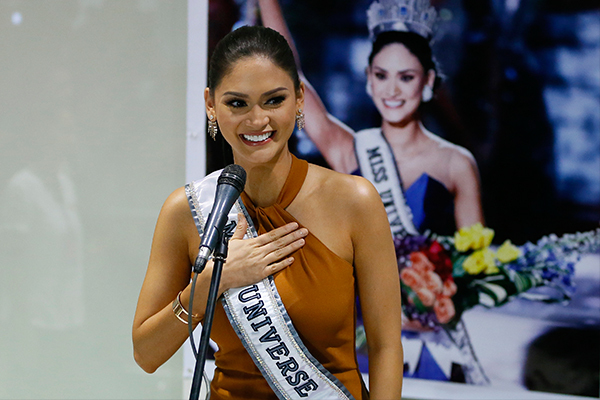 It has been more than a month after Pia was crowned Miss Universe 2015 in Las Vegas on December 21, 2015 and this is the first time that she will be coming to the Philippines since she won the crown. Pia’s winning moment may have ended in confusion when the pageant host, Steve Harvey mistakenly announced Ariadna Gutierrez Arevalo from Colombia as the winner, instead of calling out Miss Philippine’s as the Miss Universe 2015 but at the end of it, what’s important for us, Filipinos is that the rightful winner was able to get the crown that is rightfully hers. Yes, this may be considered as the most controversial win in the prestigious beauty pageant, but what is more memorable for the Filipinos is that Pia brought the crown back to the Philippines after a 42 years since Margie Moran won in 1973, the second Filipina crowned as Miss Universe after Gloria Diaz in 1969. I watched the Miss Universe 2015 pageant 2 times, I was one with millions of Filipinos around the world who were shocked, surprised, dismay, disappointed (and happy in the end) when the big “fail of the decade” happened, I thought that Pia didn’t get to enjoy her winning, this may be the reason why seeing Pia’s arrival even on TV put little tears in my eyes, especially when she said that saying “Mabuhay” to her fellow Filipinos is one check off her bucket list.